The two most important Revolution home run records now belong to Chris Nowak. In Tuesday’s home game against Bridgeport, Nowak smacked two home runs, his team leading 17th and 18th of the season. That makes 43 in a York uniform, surpassing Jason Aspito’s previous all-time franchise lead of 42 (’07-’09). Nowak also surpassed teammate Scott Grimes with the blasts, who has 42 himself after tying Aspito with a home run against Lancaster on Friday at the beginning of this homestand. So, Nowak is the Revolution Home Run King for the time being, but a nice little race should develop between he and Grimes the rest of this season – and possibly beyond – to see who holds that title when the dust finally settles. (We’ll keep you updated here on the blog.) Last season, it was Nowak who hit 25 home runs in just 84 games after joining the club in June. That clipped Aspito’s single-season record of 24 dingers in 2008. It’s been a week filled with Atlantic League milestones. In Somerset, the Patriots picked up their 1,000th all-time win, which was also Sparky Lyle’s 1,000th career win as the only manger Somerset has known in their 15 years as an Atlantic League charter member. A fellow charter member, Bridgeport, was the first club in league history to notch 1,000 wins, by beating the Revs at Harbor Yard in June. Longtime Patriot Jeff Nettles also picked up his 1,000th career Atlantic League hit. Nettles is the Atlantic League all-time hit leader, and is the first to reach the 1,000 hit milestone. Former Rev Bryant Nelson (’11), now playing for Long Island, recently notched his 2,000th career minor league hit – all leagues combined. Nelson also picked up nine Major League hits during a 25-game cup of coffee with the Red Sox in 2002. Anyway…so Chris Nowak or Scott Grimes…who do you have being on top by season’s end? The common term for a brief stint in the Major Leagues is “cup of coffee.” Well, consider Joe Thurston highly-caffeinated. Now in his 14th season as a professional, Thurston has combined various cups of coffee with different organizations into an impressive resume for a player in the Atlantic League. Despite his veteran status, the infielder is only 32-years-old and has played this season, after stops in Lehigh Valley and Rochester, the Phillies and Twins Triple-A clubs respectively. Short, sweet, yet historical: With an RBI single in the first inning of the Revolution’s 8-6 win at Camden on Sunday, James Shanks became the franchise’s all-time hits leader. 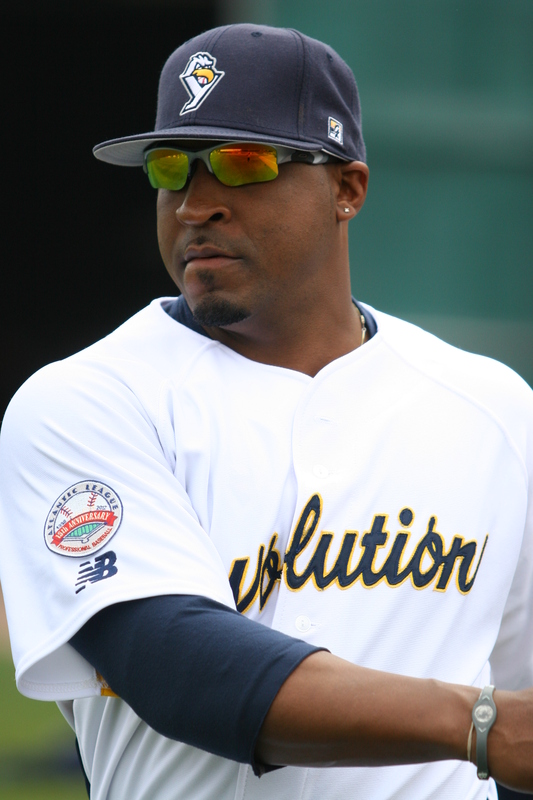 The run-scoring base knock was his 358th in a Revolution uniform, surpassing Keoni DeRenne for the all-time lead. DeRenne played three full seasons for York from the inaugural 2007 campaign through 2009. Shanks surpassed him after just two and a half seasons with the Revs, as he’s been with the club since opening day 2010. The inaugural Big 26 Baseball Classic featuring the best prep players from Pennsylvania and Maryland is coming to Central PA this weekend. The series, similar to the Big 33 Football Classic between Pennsylvania and Ohio, will feature the top rising juniors from high school programs throughout the entire Keystone and Old Line states. Pennsylvania will square off against Maryland in three games Friday, Saturday and Sunday July 20-22. The games Friday and Saturday night will be held at Sovereign Bank Stadium in York, home of the 2010 and 2011 Atlantic League Champion York Revolution. Sunday’s game will be held at Metro Bank Park in Harrisburg, PA, home of the Harrisburg Senators of the Eastern League. Each game in York will begin at 6:45 p.m., and the gates at Sovereign Bank Stadium will open at 5:45. Tickets for the game are six dollars apiece, and four dollars for fans 12 and under. All tickets will be general admission, and may be purchased at the gate the day of the game. Proceeds benefit The Big 26 scholarship fund. All players in the game will be entering their senior season in high school, however, each game will be nine innings in length, not seven. Each state will field a team of 26 of their best players. 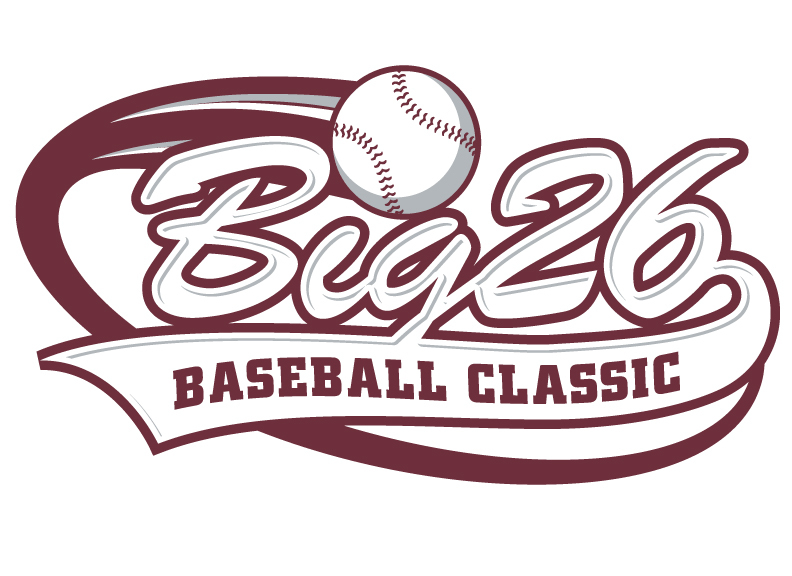 For team rosters and more information, fans should visit Big26.org. For more information about the games in York, please contact York Revolution Baseball Operations Manager Andrew Ball at 717-801-4476 or e-mail aball@yorkrevolution.com. Atlantic League rules dictate the first half division winner gets to choose whether they want to host the first two games or the final three games of the best-of-five divisional round of the playoffs. A season ago after winning the first half, Lancaster chose the final three games in their series against the second half Freedom Division-winning Revolution. After the Revolution took the first two games of the series at home, the Barnstormers rebounded to win two in a row at Clipper Magazine Stadium, forcing a game five. Behind Corey Thurman, the Revs of course won a classic game by a run in extra innings, to close a classic series. After beating Long Island three games to one to win the title, York became just the second franchise in Atlantic League history to win a championship after qualifying for the playoffs in the second half. Somerset was the other. This season, Lancaster has opted to host games one and two. Therefore, should the Revolution make the playoffs and play Lancaster in the first round, games three, four (if necessary) and five (if necessary) would be at Sovereign Bank Stadium, September 28-30. The Barnstormers will host games one and two of a first round series on September 26 and 27, that much is for sure. The Atlantic League Championship series will begin Tuesday, October 2 and be played over five consecutive days weather permitting through October 6, should the best-of-five series go the distance. Nobody panic: Brandon Haveman is going on the inactive list temporarily, but it’s not injury related. He has some personal, non-injury things to handle and Etch allowed him to leave the team for a few days. He should be back by the end of this seven-game homestand. In the meantime, the Revs have inked Jeff Fiorentino to a deal, maybe a familiar name to area fans. Fiorentino brings 58 games of Major League experience to the Revolution, mostly with the Baltimore Orioles. 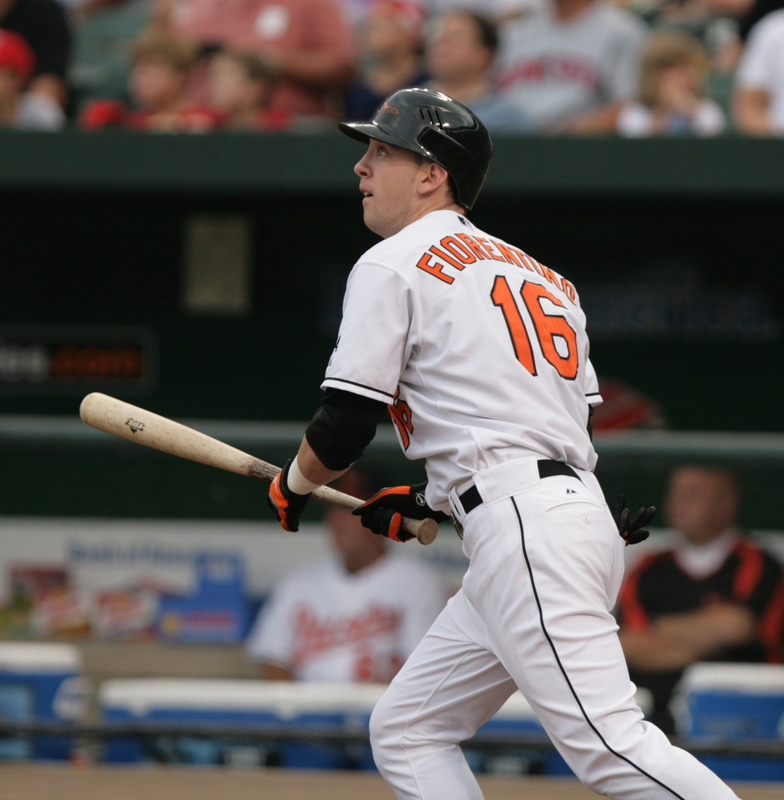 He made his Major League debut in 2005 with Baltimore, and also climbed to the big leagues again in ’06 with the Orioles. In 2008, he reached the Majors with the Oakland Athletics, before his most recent MLB stint, again with Baltimore in 2009. The well-traveled Fiorentino has had four separate stints with the Orioles organization, shuttling back and forth between the Majors and minors. Before coming to York, he was also on his second go-round with the Athletics, playing for their Triple-A affiliate in Sacramento to begini this season. A season ago, he spent time in Double-A and Triple-A with the Braves, and in 2010 played for Hiroshima in the Japanese Major Leagues. The ninth-year pro is a .270 hitter in big league action with a home run and 21 RBI, and has played in over 700 minor league games, with a .280 average, 84 home runs and 377 RBI upon joining the Revolution. Fiorentino played collegiately at Florida Atlantic University before being selected by Baltimore in the third round of the 2004 draft. 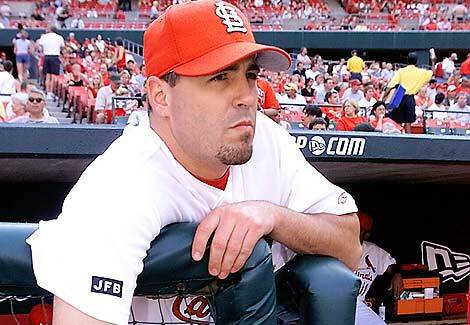 It’s been 10 years since St. Louis Cardinals starting pitcher Darryl Kile died suddenly from a heart attack in his Chicago hotel room, prior to a game at Wrigley Field on June 22, 2002. On Thursday night, MLB Network debuted a documentary to mark the anniversary, titled The Life and Death of Darryl Kile. Former Revolution reliever and 10-year Major League veteran Dave Veres is among the most prominent interviews in the hour long program. Veres, in the documentary and at other times has been referred to as Darryl Kile’s best friend. It’s not hard to see why; both debuted with Houston in the big leagues after playing together in the Astros minor league system, and they were teammates at three different stops in the majors; Houston, Colorado and St. Louis. 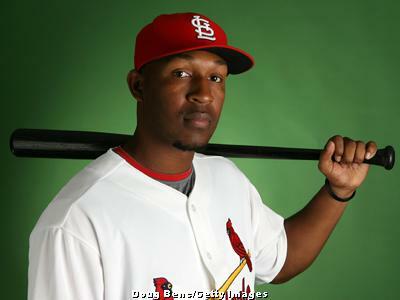 Veres was with the Cardinals in 2002 when the tragedy happened. While it was nice to see a familiar face, a nice guy and someone who had one of the better stories of the Revolution’s early days, it was unfortunate it was in such a sobering setting. Veres, who didn’t play in 2005 or 2006 due to chronic hip problems, was pitching with the Revolution in 2008 attempting to comeback – with an artificial hip. His perseverance made national news as one of the bigger names in the Atlantic League, attempting to climb a big mountain. 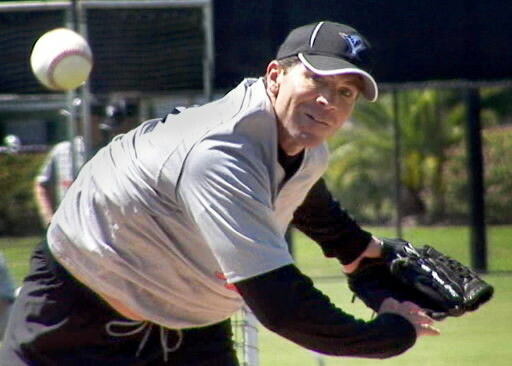 Ultimately, Veres would decide after half a season that comeback would have to end, but then-Manager Chris Hoiles, who at the time was less than two years the senior of his 41-year-old right-hander, allowed Veres to go out in style. In Veres’ final three appearances as a professional he saved three consecutive games, all at Sovereign Bank Stadium as the Revolution swept a series. His decision to hang it up was not performance based, as in 35.2 innings with the Revs Veres ERA was just 2.27, with six saves total. He accumulated 95 career saves a big leaguer. Throughout the documentary on Kile, the point was driven home that Kile was not only a top-notch ballplayer, but a top-notch teammate, father and human being. It’s not hard to see why he and Veres were kindred spirits…one story about Veres stood out when I thought about him for the first time in a while as I watched. In 2008, I remember Veres writing a personalized note to an older fan who was in the hospital, recovering from a painful hip replacement. Who better than to offer good wishes and empathy than Veres, who was pitching professionally after such an ordeal. After I took the card to give to the sales rep who had brought it to me in the first place, Veres said “if there is anything else I can do, please let me know.” Just going out there and pitching was more than enough for us and that one particular fan. I don’t want to share too many details of the documentary, you should definitely watch for yourself. While it can be difficult to watch, it’s definitely worth an hour, especially to see the bond between Dave Veres and Darryl Kile. There is an encore showing on Friday (July 13) from 1 p.m. to 2 p.m., so write yourself a note or set your DVR. MLB Network on Comcast in York is channel 280, 859 in HD. I’m not sure about Directv, sorry. Right now that’s the only encore showing I could find, but I’m sure there will be more.